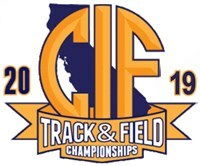 Go to www.cifstate.org or https://gofan.co/ for discount tickets through May 23, 2019. The following items will not be allowed in the Stadium: tobacco, alcohol, firearms and glass containers.Ice chests must be smaller than 14” x 14” x 14”.Tents will only be allowed in the warm-up area or the grass area behind the portable bleachers at the Southeast end of the stadium (new scoreboard end). No tents will be allowed in the bleachers or on the berms.